We specialize in the intelligent use of modern materials. 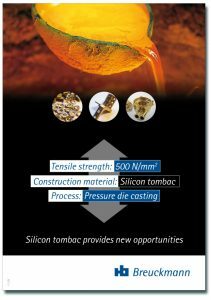 We offer an alternative to investment casted steel in the form of high pressure die casting using silicon tombac. This material not only has a high tensile strength, but also has further beneficial properties such as high fracture strain, excellent corrosion resistance and antibacterial effects. The casting temperature is approx. 1100°C. 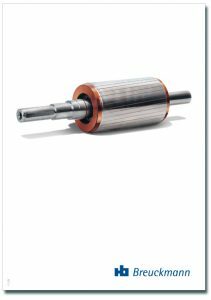 In order to improve the level of efficiency of electric motors for e-mobile and industrial motors, we manufacture embedded cages of copper in the rotors of three-phase asynchronous motors in place of the aluminium ones which are normally used. Copper high pressure die casting requires a high level of purity of the melted mass and a casting temperature of approx. 1200 °C. These prerequisites are in place, thus making cost-effective series production possible. High pressure die casting at temperatures of over 1000°C leads to a severe wear of the mould. The cavities must be reworked regularly. We set up the HSC Milling Technology business area based on the knowledge we have amassed in this area. 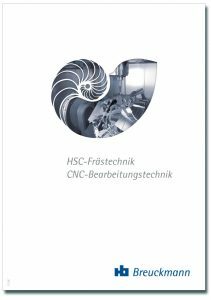 In contract work, HSC Milling technology is used to manufacture complex mould inserts in a hardened state with excellent surface finish. Following our takeover of the Winkelstäter company, we are now also supplying the maritime industry. 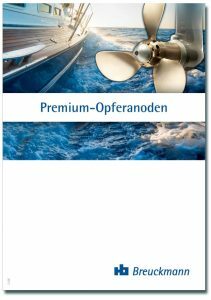 In order to protect ships and their components against corrosion, premium sacrificial anodes are being manufactured from the highest material grades.